After 14 years of fuel tax debate, China has decided to substantially increase taxes on petrol and diesel. On 5 December four government ministries, headed by the powerful National Development and Reform Commission (NDRC), released the fuel tax implementation plan, which will take effect on 1 January 2009. According to the plan, tax will be charged at 1 yuan (15 US cents) per litre of petrol and 0.8 yuan per litre of diesel. 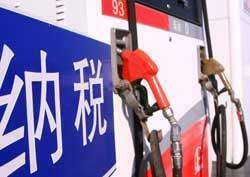 The fuel taxes replace the commodity taxes set at 0.2 yuan per litre of petrol and 0.1 yuan per litre of diesel. NDRC has also promised to phase out road tolls - except for the expressways built with bank loans - and three other transport fees. NDRC officials have announced a departure from the strict control over oil prices, with fuel prices adjusted in line with international petrol prices. They predict that petrol and diesel prices could fall next year even after the fuel tax is imposed. In the 1990s, plans to use fuel tax to replace the road toll, which is collected by local governments, were twice rejected by the National People’s Congress. Local governments were concerned that they would lose out financially. Since 2000, new plans have been delayed because of sharp rises in the international oil price, with policymakers expressing concern that the tax will increase inflation. ’While the tax could increase transportation costs for various sectors, it is unlikely to have a particular impact on the petrochemical industries,’ says Yu Jing, a senior researcher at the China National Chemical Planning Institute. In the long term, however, the fuel tax could affect the use of private cars, reducing the sales and profits of oil firms such as China National Petroleum Corporation and Sinopec, according to Qiu Xiaofeng, a petrochemical analyst at China Merchants Securities. But Ni Weidou, an energy expert at Tsinghua University, considers that the fuel tax rate is too low to curb people’s energy consumption, harming the country’s efforts to address climate change. Ye Yingmin, managing director of Beijing-based consulting firm Chem1, thinks that the loosening of control over fuel prices - together with tax - could benefit oil producers because they should be able respond to market demands more sensitively, adjusting their production. ’When the international oil price is back to a high position, oil firms could reap the benefits,’ Ye told Chemistry World .